This well-maintained family home is in a great neighbourhood east end of Amherstview, fenced back yard that looks out onto a park and is just a short walk to schools and waterfront. The floor plan includes 3 bedrooms, 2 full baths, 1 half bath, mudroom, main floor laundry, kitchen offering ample storage open to the dining room the main living space with 9 foot ceilings on the main floor, perfect for enjoying your evenings while you watch your children play outside through the large window overlooking the park. 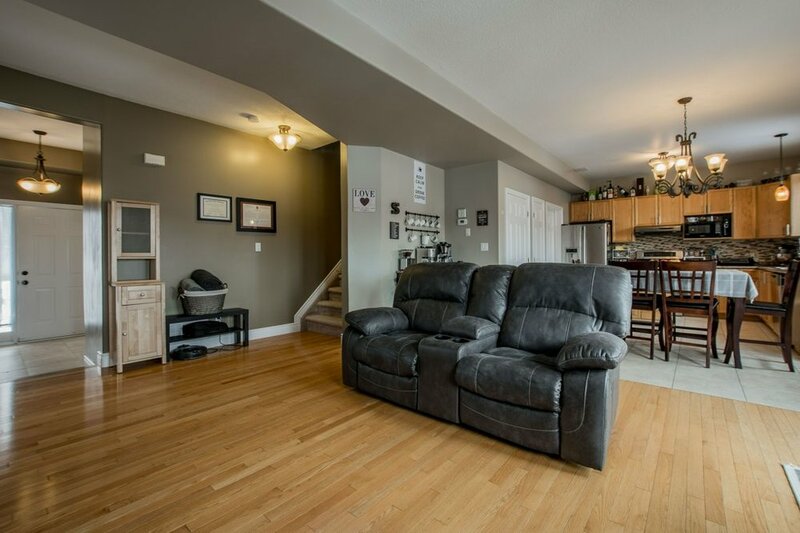 The wet areas are floored with ceramic tile, living space hardwood and upper-level carpet. The finished lower level features laminate flooring, pot lights, lots of storage and gives you that extra space to call your own. The two-car garage offers storage and convenience with inside entry. This home is priced to move!